I believe this station has the ability to have a positive input into the community. It is our mission field and an alternative to other media. 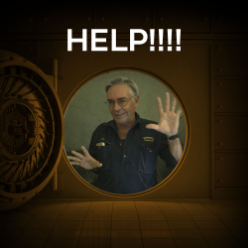 This is a Gympie Christian radio station and we need to get behind it...if it takes me being locked into a Vault to make that happen then so be it. Your support can help change somebody's life.